This aged limestone is softly distressed for an older authentic looking stone floor. Each rivan stone tile has softened worn edges and a time worn polished surface. This large flagstone floor shows the colouring of an old English church floor and is very hard wearing, which is ideal for stone flooring. * Cool light grey limestone. * Smooth, time worn stone surface. * Soft hand fettled edges. 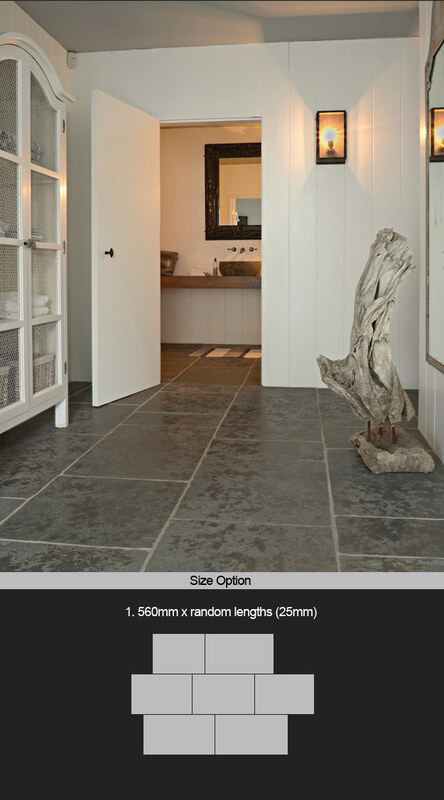 * Large stone flooring tiles. * Low porosity & very hard wearing. * Well manufactured stone tile. * Domestic & commercial situations. * Prices exclude shipping @ £50 + VAT.